In UT2003 you can play with either 2x or QC AA enabled - anything higher and frame rates dip too much to be competitive. Enabling AF doesn't degrade performance much, but when both AA and AF are used, it's a bit slow. 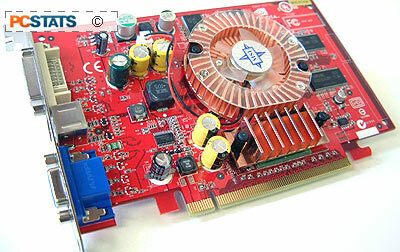 As the traditionally architecture had become too large a bottleneck, the PCI-Express transition had to happen sooner or later. With Intel forcing several changes all at once, it should prove much less expensive, and much less troublesome for everyone in the long run. Perhaps more importantly, for manufacturers it provides a shot in the arm, and just about guarantees that the new technologies will be adopted. As a videocard, the MSI PCX5750-TD128 is one of the first PCI Express solutions out of the gate, and comes with an exceptional software package. Three full version games are included; XIII, Prince of Persia: The Sands of Time and Uru as well as a whole host of multimedia software. Bundled extra's are nice, but it's the performance figures that really play out in the long run. From that standpoint, the MSI PCX5750-TD128 is a good overall mainstream card. It's best suited to consumers on a budget, for which casual gaming is a passing thought. The MSI PCX5750-TD128 works best with 1024x768 resolutions, and with a retail price of $202 CDN ($153 US) it's best to remember that if you have DoomIII on your mind. If you're an overclocker, the MSI PCX5750-TD128 is definitely game. The card we tested was able to reach a very nice speed of 504 MHz core, 694 MHz memory! Bottom line, if you're building a new PCI Express based system and are looking for an interm card to hold you over until native PCI-E cards are released, be sure to check out the MSI PCX5750-TD128.